Philippa Gregory the queen of historical fiction has published her first YA novel called Changeling in the Order of Darkness series. It takes place in 15th century Europe. The main characters are Luca Vero and Isolde. They are both seventeen and headed for a whirlwind adventure filled with mysterious strangers, witches, dark magic, werewolves, and much more…. Sounds extremely intricate and intriguing to me, even for those of you out there who don’t like reading YA. novels. This could be the first one you read. We will have to see if Gregory lives up to her reputation, while writing pure fiction for adolescents. I’m pretty positive about it and will definitely try to check it out this summer. So, what do you think? 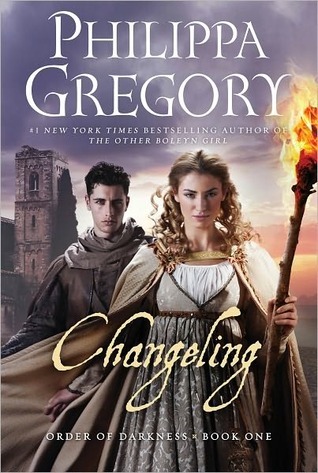 Author didibooksenglishPosted on June 20, 2012 Categories Bookish StuffTags Changeling, Isolde, Luca Vero, Order of Darkness series, Philippa Gregory, YA literature2 Comments on TBR: Check it out!